The NBA trade deadline was crazy for about 45 minutes, not even at the end, and then a basic snoozefest. Not much happened outside of the Cavs literally trading over half their rotation away midseason with their franchise icon in the last year of his deal headed for free agency. So it was chaos and it was quiet, all at the same time. 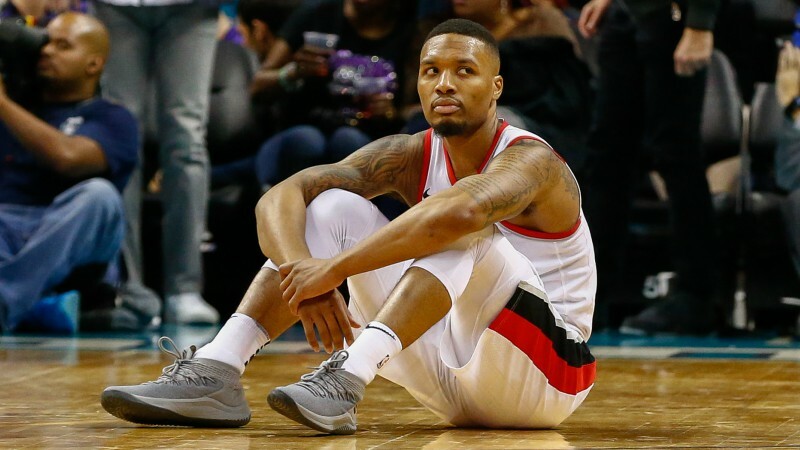 What do you do when you don’t want to give up on keeping LeBron James but the team’s chemistry is rotten, the defense putrid, and the roster is old? You swing three deals in an hour to move six players and take back four. Is LeBron more likely to stay after all the Cavs’ moves? Is Cleveland even better? Matt Moore answers all after the NBA trade deadline. There’s a lot to figure out here. 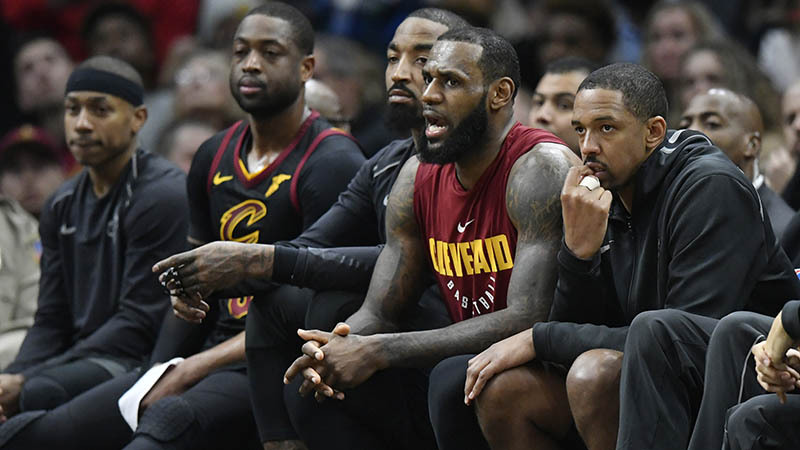 The Cavaliers basically have eight weeks of the season, one week of practice after the All-Star Break, and the first round of the playoffs to figure out how to play with Rodney Hood, Jordan Clarkson, Larry Nance, and George Hill. That’s not a lot of time but it’s better than wasting away with a team that hated one another and couldn’t defend. There are more questions than answers (although I tried to answer many of them), but one thing you can be sure of is that the Cavaliers did not go gently into that dark night: They raged, raged against the dying of the light. Here’s a question: Who leaked that the Lakers were not looking to 2018, but instead 2019 for their big free agency catch this week? Because it sure seems now like that might have spurred Magic Johnson to counter-react by going all in now. The Lakers dealt two long-term contracts they didn’t want for Isaiah Thomas and Channing Frye, who is not part of the long-term picture, but Thomas is kind of in the middle. If they strike out on LeBron James, Paul George, and DeMarcus Cousins this summer, they need to horde cap space. A viable option? Give Thomas a one-year, huge-money deal for whatever the max is, let him get his payday, and recoup his value for a big-money deal the next time out. If that’s with LA, great. If not, the Lakers have space to go after Jimmy Butler and the rest of the 2019 free agents. What the Lakers cannot do is get themselves into the Knicks 2010 trap of going after the B-level players to fill that gap. Just hang onto the money for 2019 at all costs. Keep the powder dry. If you’re going to chase star free agents, chase them, but don’t settle for meatloaf instead of prime rib. 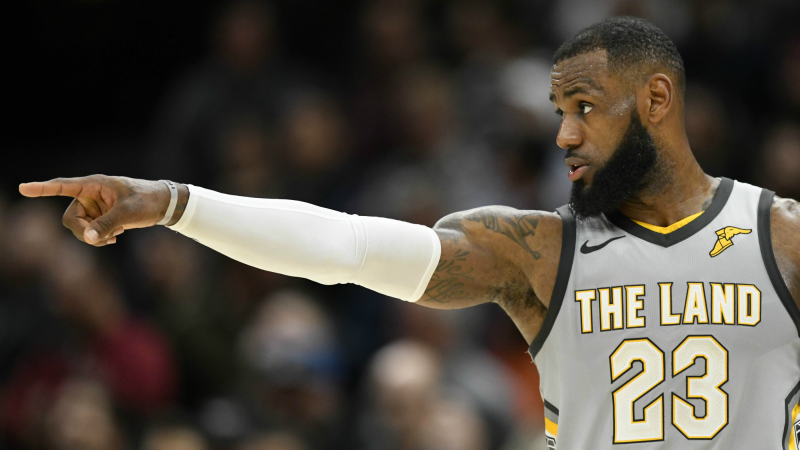 Our crew of experts breaks down everything you need to know to bet Friday’s loaded NBA slate. Memphis is about to be roasted six ways from Sunday for getting nothing for Tyreke Evans, an expiring contract they cannot re-sign using Bird Rights, as they do not own them. Now they’ll try to get Evans back using the Mid-Level Exception, which, given his play this year, seems unlikely to work even in a truncated market. The Grizzlies wanted a first-round pick. But no one came through, and Memphis wasn’t willing to lose him for a second-rounder, even with another player attached. They decided seven weeks of Tyreke was better than multiple second-rounders, which isn’t great. But once you set value, you have to pursue it to the end. Dealing with notoriously difficult Boston probably shrunk their timeline, and the thought was that the second-rounders wouldn’t move the needle. Except Memphis has several second-rounders in its rotation right now. The Grizzlies didn’t get the market they wanted for Evans, and waiting for it cost them. This is probably a warning sign about giving talented veterans one-year deals (like the Isaiah one listed above actually) and the damage that can cause. Friday night’s Blazers-Kings will mark Portland’s fifth game in eight days. But can you find an edge by betting such schedule alerts? Denver had one glaring weakness in its entire rotation: Emmanuel Mudiay. The third-year guard simply never developed the handle, shot, or control to be on the floor. When he was off the court, every rotation player on Denver had a positive net rating per 100 possessions. When he was on the floor, every single player dropped into the negative. Not all of that was on Mudiay, but he too often lost his dribble or threw the ball away to a defender going the other direction. Replacing him with Devin Harris is perfect. Harris is a veteran who can run the second unit, work alongside Nikola Jokic and Paul Millsap, and serve as another shooter. Losing Mudiay is a win, and getting Harris is a win. Giving up an additional second rounder without surrendering their own is a good price to pay. They also failed to move Kenneth Faried or Wilson Chandler. Chandler has been upset with his role, but management felt that he would come around as he often does. Faried continues to be borderline untradable, and Denver was ultimately unwilling to attach a future first-round pick to get the deal done. That likely changes this summer or next year with what the Nuggets will owe in the luxury tax, but for right now another player who wanted out did not get his wish because Denver won’t deal from a position of weakness. That’s their front office’s M.O. 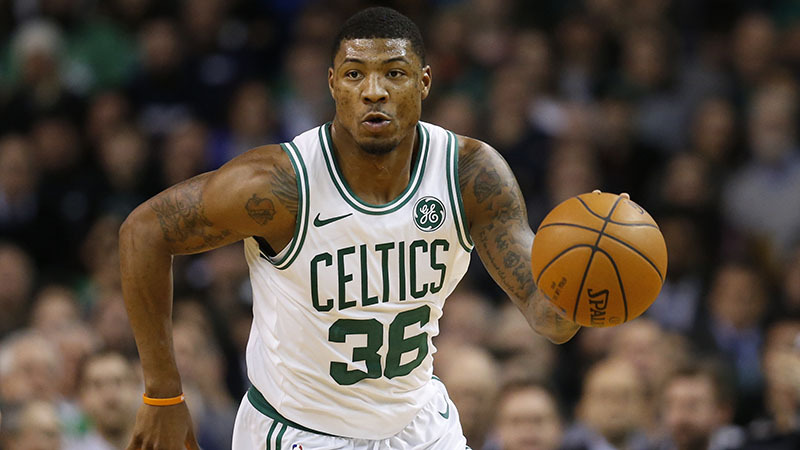 Boston talked all sorts of deals for Marcus Smart, but at the end of the day they didn’t move him. It’s the same thing that usually goes with Boston: They are always looking to maximize assets. So while they talk about dealing everyone, and they do have concerns with Smart after his latest hand-lacerating incident, they also know what he brings to the team. He’s tough, he’s versatile, and he’s been in the playoffs. Smart may not be around this summer after restricted free agency, but they didn’t get what they wanted, just like Memphis. The difference is that Boston has options with Smart that Memphis doesn’t have, and Smart is crucial for what Boston’s looking to do in the playoffs. What a weird two weeks for the Clippers. If you’re going to reload but not rebuild, you deal your veteran role players, keep your star, and try to put a better team around him. The Clippers did the opposite. They traded their star player Blake Griffin, then kept DeAndre Jordan and signed Lou Williams to an extension. None of this makes any sense. Williams is 31 and will be 33 when the two years he has guaranteed are up. Jordan enters unrestricted free agency without his best friend Griffin there to keep him tethered. So the Clippers are keeping the aging one-dimensional player in the middle of a career year and are likely losing their two best players in exchange for a pick, Tobias Harris, and Avery Bradley, who is also an unrestricted free agent this summer. They have cap flexibility, which is great. But this summer’s free agency crop is not exactly stellar with Paul George at least somewhat likely to stay with the Thunder, DeMarcus Cousins’ injury, and most of the young players off the board. 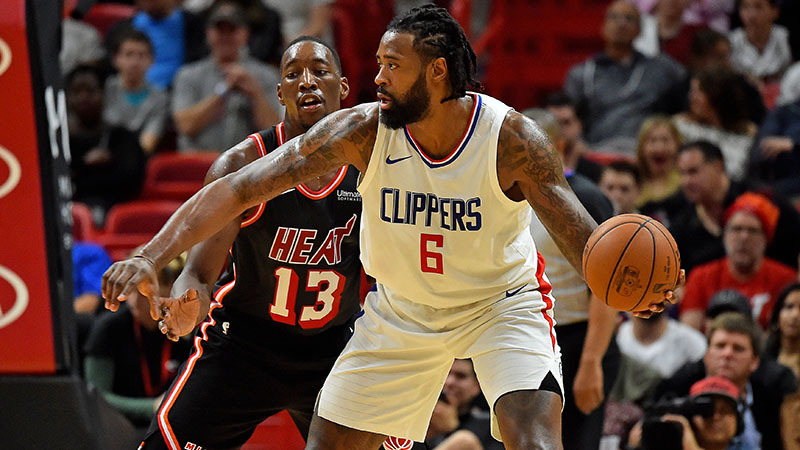 The Clippers get to yell “Lou!” a lot, but their future looks awfully muddled if they don’t land something major this summer. Devin Harris was an expiring contract, and in return they landed Doug McDermott, who’s underrated and who wasn’t playing in New York, and they get his restricted free agency rights. They pick up a second-rounder, too. That’s good use of assets, although Nerlens Noel remains stuck between stations. Payton produces. This is just a fact: There’s a reason he flirts with a triple-double so often. He’s fast and athletic, and if he ever cuts his hair he might be able to put together an offensive game, but his efficiency, defense, and decision making are terrible, and at 23 he’s no longer a pup. Best case? He provides a distributor talent to all the wings and big men the Suns have before they land a high pick in a big-heavy draft. Worst case? He’s a transition point to getting Luca Doncic or Trae Young and they let him go. For just a second-rounder, that’s not bad. Taking a flyer on him is solid. He’s shooting 52 percent from the field and 37 percent from 3-point range this season. With the Cavs adding guards and wings all day, Wade was going to lose minutes. It’s a shame, because Wade was one of the best defenders on Cleveland this year, and he provided them with a secondary playmaker. But he’s home. He should have never left Miami. He and Pat Riley should have worked things out. He needs to be there. He needs to retire there. It’s Wade County. He gets to help a young and fun team figure out where it’s going in the playoffs, get his rest, and transition to a front office role. He’s back in a Heat jersey, and all’s well that ends well for the career of Dwyane Wade. The Kings will release Joe Johnson. The Suns might let Jared Dudley and/or Tyson Chandler go (but both seem to want to stay). Greg Monroe already signed with Boston. There will be more. That’s how many contenders will choose to upgrade what they have left (including Cleveland). The Blazers keep chipping away at their salary, getting below the luxury tax by giving away Noah Vonleh. Ed Davis made this possible with how he’s been a total monster truck this year. Vonleh was good last year when he got minutes, and the Bulls gave up nothing to take a flyer on him and have done pretty well in getting return on assets between this and the Nikola Mirotic deal. The Bulls traded Nelson to the Pistons, and the Pistons could use him as a third guard to run the offense and provide some shooting. Nelson’s best years were with SVG and he gets and understands what his coach wants. Time is a flat circle, it seems.